Dr. Russell Becker always appreciates feedback from his valued patients. To date, we’re thrilled to have collected 67 reviews with an average rating of 4.93 out of 5 stars. Please read what others are saying about Dr. Russell Becker below, and as always, we would love to collect your feedback. Staff very pleasant and friendly. And as always Dr Becker is super! Ultrasound tech was very efficient. Thank you all for the pleasant experience. It provided the info I was looking for. Dr Becker is great! I had a great experience. I would recommend him to anyone! He was fun and very cool and extremely competent! Follow up with Dr Becker went Smooth and informative. Ultra sound was explained, and answered all our questions. Very personable. 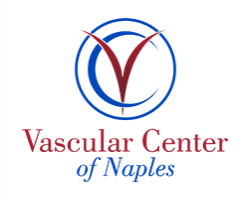 Very Good.Received good results.Dr.Beecker very professional and also personable.Highly recommend him to anyone having vascular or leg problems. Very professional, efficient and great bed side manner in explaining reasoning for diagnosis and results of tests. 5 stars to all the staff! Long term patient . Dr gives plenty of time and advice. My appointment ran on time. 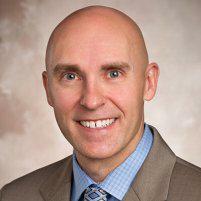 Dr. Becker is very thorough and takes time to listen and offer suggestions for improvement. Reception and Rest room areas were clean and staff was friendly. Great experience, took the time for us! Dr. Becker is a personable, talented, gifted surgeon who frankly saved my life. Working with my/our GP, he diagnosed a seriously blocked carotid artery, performed an endarterectomy, and subsequently healed my problem. Several regular followups and rechecks will be our plan going forward as his very experienced, friendly, and caring staff will work with Dr. Becker to maintain my recent restoration to good health. God Bless Dr. Becker!